Erik is responsible for oversight and implementation of Banner’s BSA, AML and OFAC Sanctions programs. Prior to joining Banner in 2017, Erik held various roles in BSA management and Anti-Money Laundering investigations. This included BSA/AML management roles with Wells Fargo and Umpqua Bank. Most recently, Erik was the Vice President and Deputy BSA Officer with Umpqua Bank. 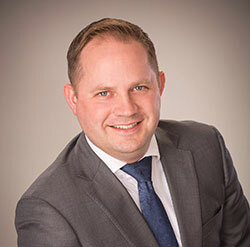 Erik has a Bachelor of Science degree in Political Science from the University of Oregon, a Master of Business Administration from George Fox University and a Graduate Certificate in Executive Bank Management from the Graduate School of Banking at Colorado. Erik is a Certified Anti-Money Laundering Specialist (CAMS) and frequently presents on industry panels and webinars on BSA/AML/OFAC related matters. Copyright © 2018 NO Money Laundering, All rights reserved.